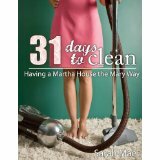 As I dive into Sarah Mae’s 31 days to Clean , she guides me, the participant, through two challenges at once. As if cleaning wasn’t enough! She challenges us not just to tackle the physical state of the house, but also the emotional heart and mission behind the home. I immediately begin to realize two things. 1. Some parts of my house aren’t as bad as I thought. Emergency clean up jobs really keep things in order. For example, cleaning the kitchen this week one of my assignments was to clean the microwave. 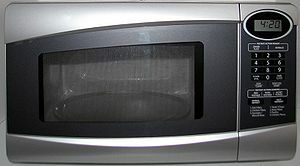 Lo and behold when I opened the door, my microwave glistened in all its clean glory already. Then I remembered, that I just recently scrubbed this monstrosity last week when my children blew up their leftover spaghetti meal inside. Maybe it was mac and cheese. Either way, it was ugly. But that did give me one less task to do this week. Thanks, kids! 2. My focus needs to be on the mission, not the tasks, that this book offers. If I want this challenge to really bring permanent changes into my life…and so far, I think that I do want this change, then i need to make my home’s purpose my motivation. In writing the mission behind my cleaning goals, I began to finally put to words what my heart longs to see when I enter my home. I didn’t embark on this challenge to create a showplace house. I have five kids now, that dream has long since come to reality. I accepted this dreaded challenge because I want a clean house and I want to be motivated to keep it clean…because I want my house to have purpose. I don’t want my house just to become a drop zone between school, work, church, and activities. I want my HOME: a safe place where my kids can dream and develop and flourish, a loving place for my family, friends, and neighbors, a tranquil haven amidst the chaos of life, and a recycling center where we give back as much as or more than we take out of life. My mission to honor the purpose of this physical structure and not to be trapped by its upkeep has given new motivation to my tasks. My life lesson this week is to remember my motivation. The why outweighs the whines. The mission statement gives foundation to the entire challenge much like the foundation of my house supports the whole structure. I must embrace the mission. The mission is my friend. However, the tasks are still my enemies. Somehow, through diligent and purposeful mind work, I have got to give the tasks my 100%. I have to confess that I have not. I haven’t skipped anything, but I have cut a few corners, bent a few rules, said “Oh, that’s good enough” a few times. Yeah, I gotta stop that. And I will. Don’t forget about our deal. You are going to comment and connect with me as much as possible. I may need to hear just what you have to say!